Ad Minoliti returns to San Francisco for the second part of her residency at KADIST. 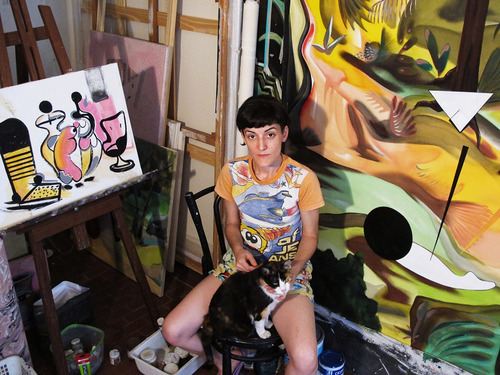 As Artist-in-Residence, Minoliti will be preparing for her upcoming solo exhibition, Feminist School of Painting opening in October 2018. While in residence, Minoliti will continue her research into the history of LGBTQ advocacy and activism in San Francisco. Based in Buenos Aires, Minoliti uses feminist and queer theory to generate different interpretations of painting, design, architecture, art history and visual language.